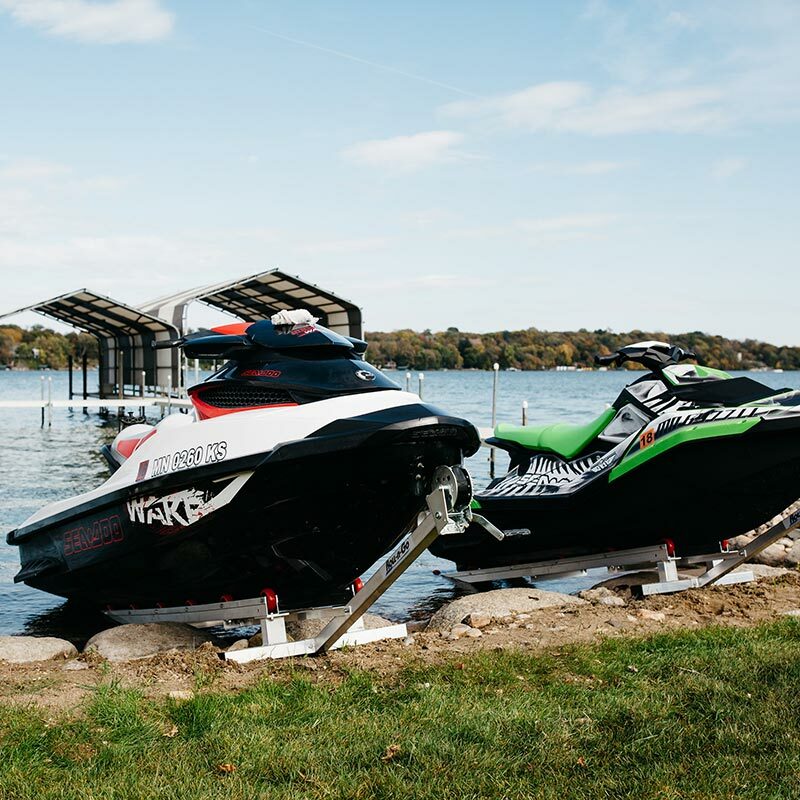 From PWC lifts to shore ramps and floating docks, here's everything you need to know about choosing the best docking system for your PWC, Jet Ski or WaveRunner. 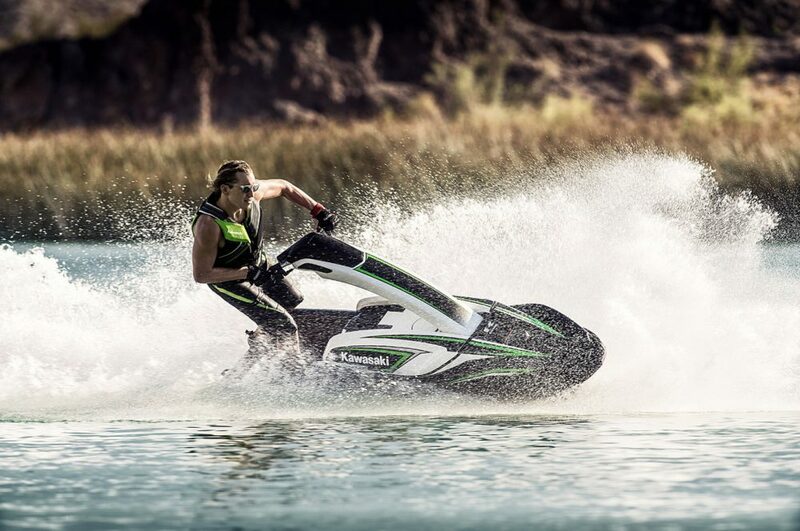 If you live on the water and own a PWC (personal watercraft) you have the advantage of being able to simply hop on that Kawasaki Jet Ski, Sea-Doo or Yamaha WaveRunner, thumb the starting button, and ride away. You may only need to use a trailer for off-season storage. Simply beaching a PWC, or even tying it to a dock or keep it at anchor, is not a good long-term storage solution; any of these options will expose the PWC to undue wear-and-tear and you to stress, wondering if your watercraft is secure from theft or bad weather or even sinking. 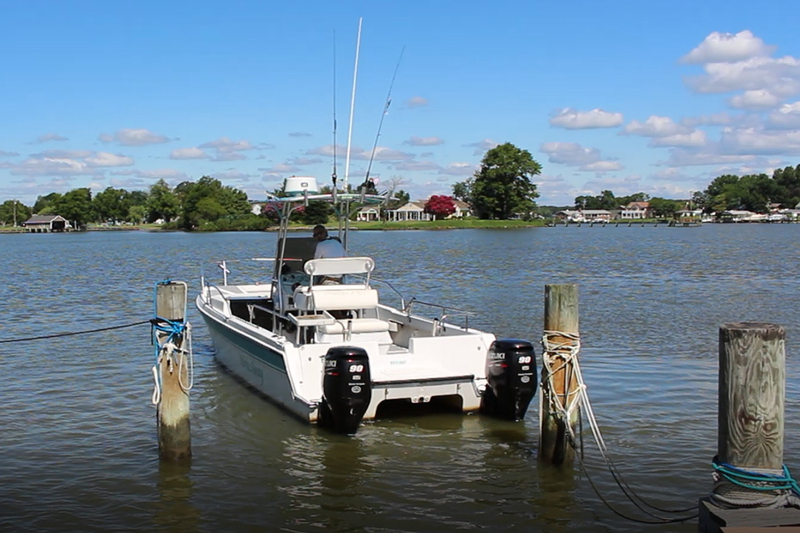 There are a number of PWC docking options that provide security and convenience. A PWC lift raised the entire watercraft well above the water. Just like a larger boat lift, a PWC lift is positioned adjacent to a dock and mechanically lifts the watercraft out of the water. The advantage to a PWC lift like those offered by ShoreStation is that the watercraft is lifted completely out of the water so it is better protected during stormy weather and stays free of marine growth and corrosion in the pump and hull bottom. The lift can also be locked, which makes it quite a challenge to steal the PWC. Most lifts can even be equipped with a canopy to protect the PWC from sun fading and bird droppings. 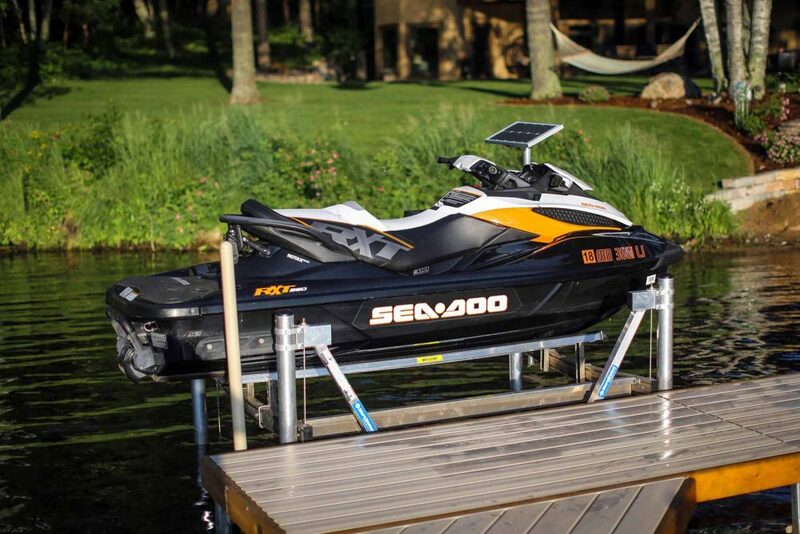 Lifts are available to hold the largest PWC, and some models can hold two watercraft. They may be free-standing or attached to the edge of a solid dock. The winch that raises and lowers the bunk holding the craft can be hand-cranked or powered by an electric motor. Electric models are available with a solar-charged DC battery so an AC power source is not required at the dock. To launch, the PWC is simply lowered into the water. When the ride is over, park the PWC on the bunks, climb onto the dock, and lift the watercraft. A lift is a little more hassle than a floating dock option, and may not be viable in areas where there is significant tide or the bottom drops off very quickly. A lift is also going to be the most expensive PWC docking option, and in cold climates will need to be pulled out of the water before freeze-up and reinstalled in the spring. A PWC shore ramp is secured to shore and extends into the water, handy when the shoreline is rocky and no dock space is available. A shore ramp like those offered by Roll-N-Go is anchored to shore and extends into the water. 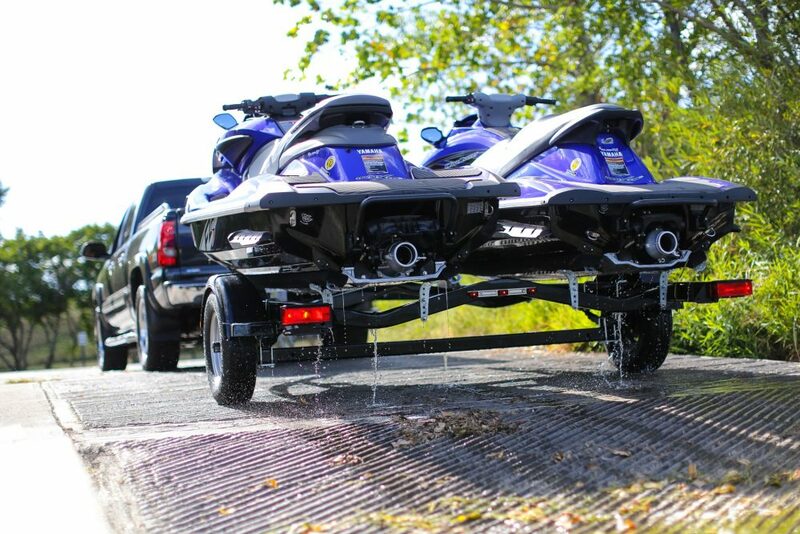 Equipped with rollers or bunks and a winch like a boat trailer, you simply ride the PWC into position at the wet end of the ramp and then pull it up onto the ramp with the winch. The ramp can be positioned over a sandy or rocky shore and extended to work even when the water at the shoreline is shallow. A shore ramp is a good option when there’s no dock available, or no room for a lift or ride-on storage at the dock, or if the water at the dock is too deep for a lift. Using the shore ramp will require some wading to launch and retrieve but it’s much easier than a lift to take in and out of the water when the seasons change. A shore ramp also can be positioned to keep the entire PWC out of the water. 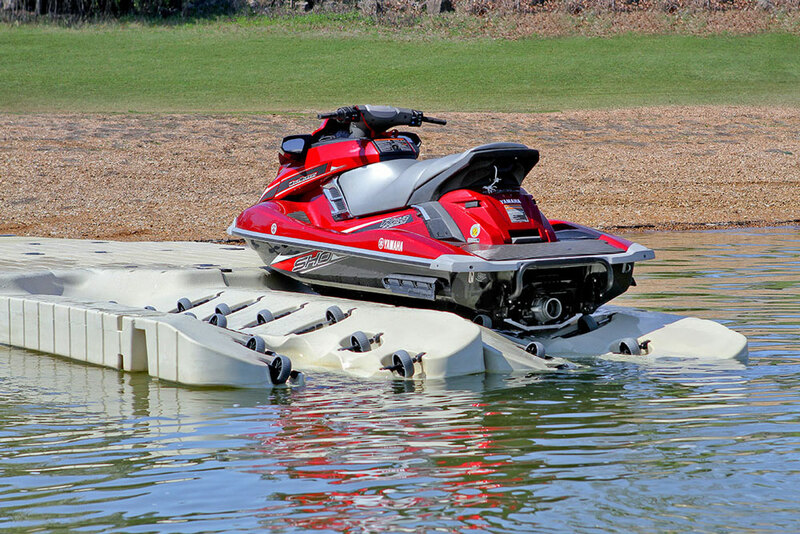 There are many different styles of floating PWC docks or ramps, but all offer ride on/ride off convenience. A floating PWC dock system is by far the easiest to use and offers great flexibility. You may see these floating docks at marinas and rental outfits, where many of them can be linked together to hold an entire fleet of PWC. A floating dock provides a stable platform to use when loading gear onto the PWC or when performing maintenance. 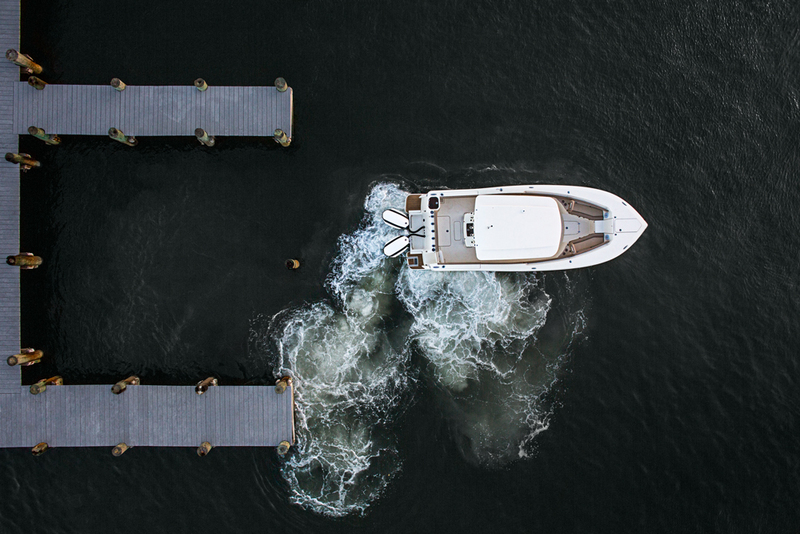 All floating docks feature nonskid surfaces to keep you from taking a slip on a wet deck and most can be combined with other dock components to create virtually any sort of design, whether it’s just a simple PWC dock tethered to an existing seawall, or an entire docking system for several craft. There are a number of companies selling floating PWC docks, but one of the most popular brands is SportPort. Made of polyethylene with a foam core, SportPort is an unsinkable floating platform with the middle of the topside molded to roughly match the hull shape of a PWC. 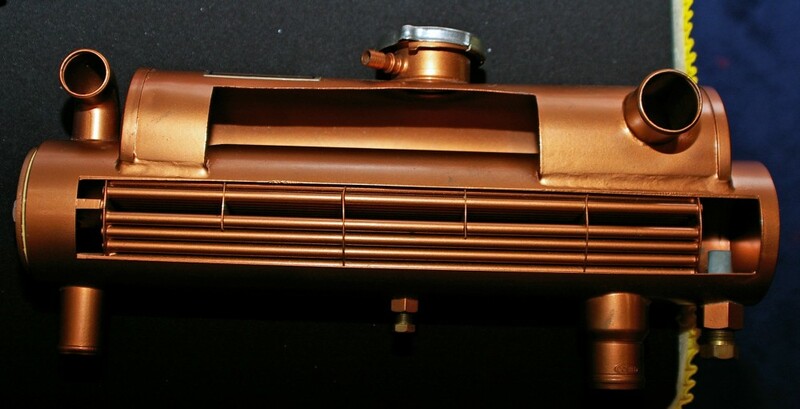 The material won’t mar most hull finishes and has no moving parts that require lubricant or can rust. The deck material also stays cool underfoot. 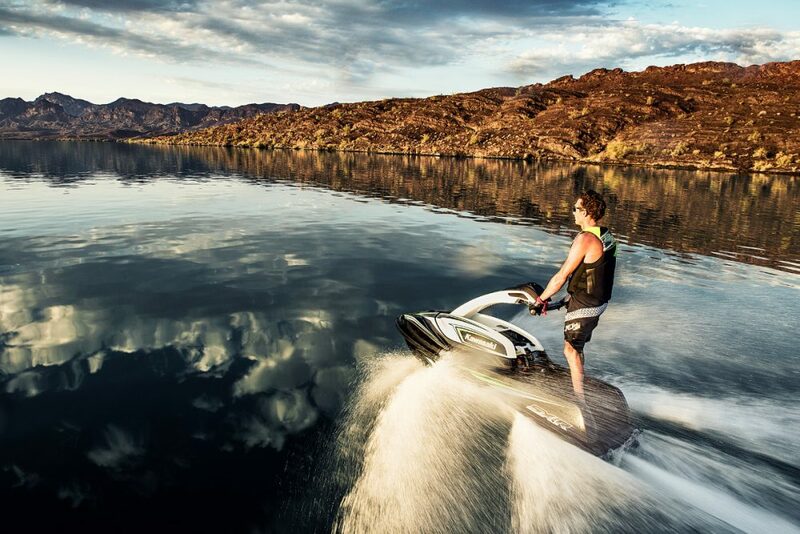 At the end of a ride you simply gently apply the gas to power your PWC up and onto the dock, where it stays put by weight and friction. When you need to launch, just lift and push the bow to slide it off into the water—it’s usually pretty easy to shove off. The SportPort is secured to any fixed structure by PWC pipes that run through openings to allow the dock to float and rise and fall with a tide or waves. Pipes can be fastened to a dock or seawall, or driven into the bottom. Many floating dock manufacturers are regional, such as EZDock. 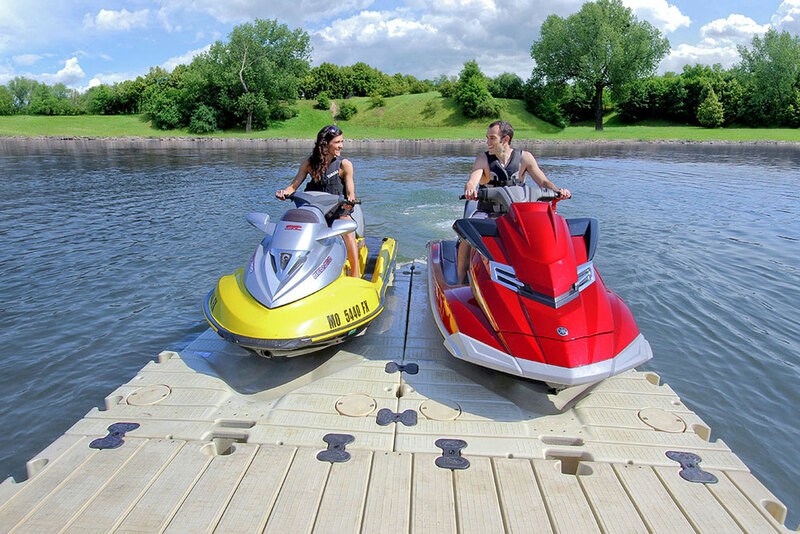 The ride-on floating PWC docks from EZPort have rollers to lessen the resistance and make it much easier to launch. The JetDock system utilizes individual polymer cubes that are combined to create the desired shape and are easy to disassemble for off-season storage. Looking for more information on PWCs? Editor's Note: This article was originally published in August 2010 and updated in December 2018.